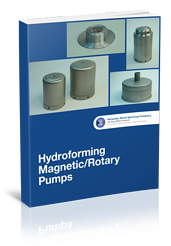 This detailed eBook, Hydroforming Magnetic/Rotary Pumps, takes you through all the important benefits of hydroforming when it comes to manufacturing magnetic rotary pump as well as other products. With competition always in mind, we know you are continually looking for ways to raise quality levels while lowering costs. We hope you find the eBook informative.